Recently, Vivo Y95 model was spotted on the Geekbench browser list with a model Vivo 1807. Then Vivo Y93 has also appeared as Vivo 1818 on the Geekbench and now the Vivo 1817 visits on the browser list again. This new model is having 2GB of RAM and running on Android 8.1.0 Oreo. So, the device retail unit will be known as the ‘Y’ series. 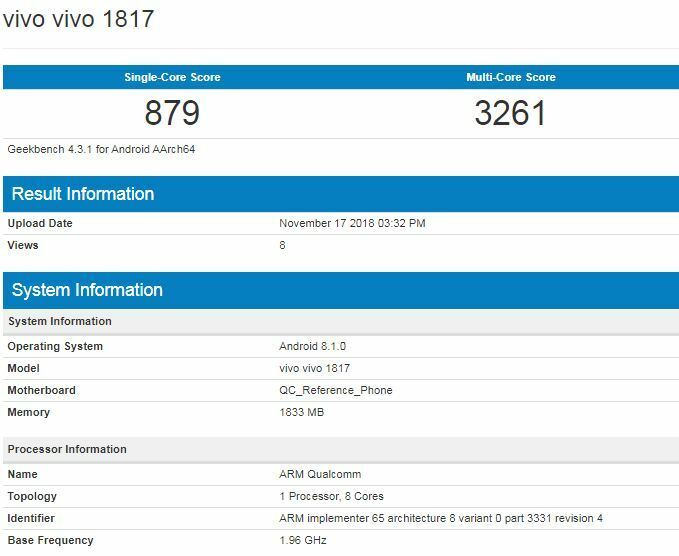 The device appeared as Vivo 1817 on the benchmarking site with a 1.9GHz processor and 2GB RAM. That surely means the device will feature 2GB of RAM and 16GB of internal storage along with external storage expansion. This will be a lower version of Vivo Y95 device but some of the reports expected that it will be powered by Snapdragon 439 SoC. However, the camera and battery specifications could vary in terms of the price point. There is no additional information revealed yet by the company or Geekbench. Within a few weeks, Geekbench site can provide more details about it. The Vivo 1817 performs 879 points on the single-core and 3261 points on the multi-core test. 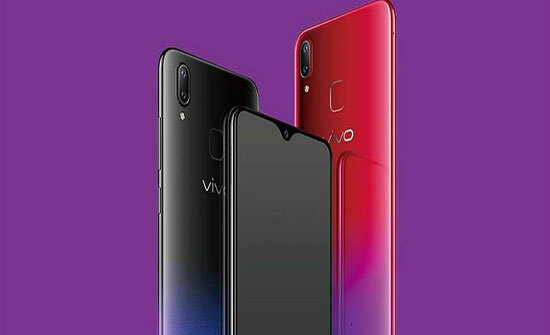 Last weeks, Vivo Y95 has launched a bigger 6.22-inch HD+ display with waterdrop notch and a 19:9 aspect ratio display. This device has also powered by octa-core Snapdragon 439 chip, coupled with 4GB of RAM and 64GB of internal storage. It also has a dual rear 13MP+2MP camera with a LED flash, a rear-mounted Fingerprint Scanner, and a single 20MP selfie camera with AI features. It has a 4,030mAh battery out of the box, runs on Android Oreo.